It was a relaxed Sunday scene at home. But today being the last day of a ten day long vacation for the kids, there was this increased sense of hurried playing and running around. Breakfast was the usual Poori Channa, which the kids enjoyed. They came back from their play time at Park and were exhausted enough to eat well. I wanted the second day of Blogging Marathon to be quite simple. This quick Umpa from Leftover Idlis proved to be the best suited. These Idlis were made with Idli rava and Moong Dal and were also seasoned. 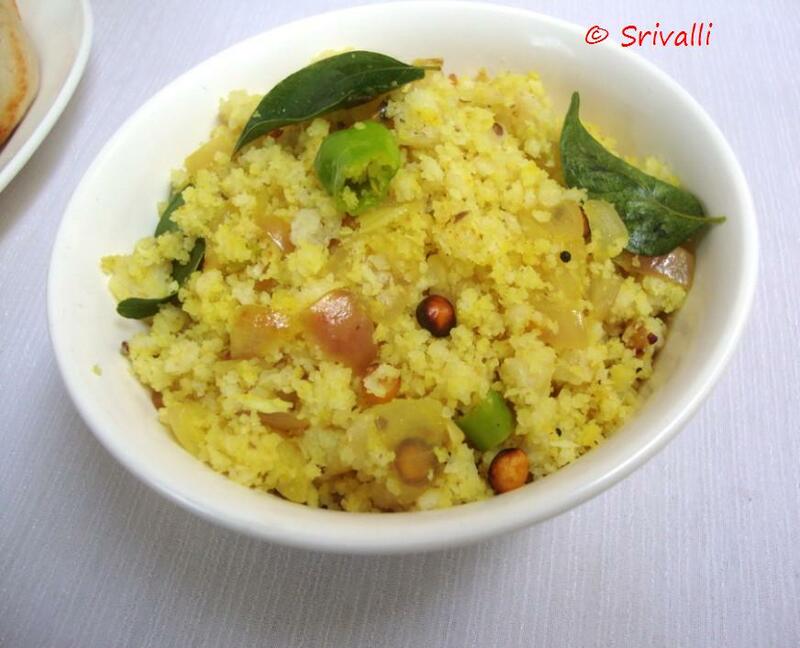 But you can make this Upma with the regular idlis that you make. 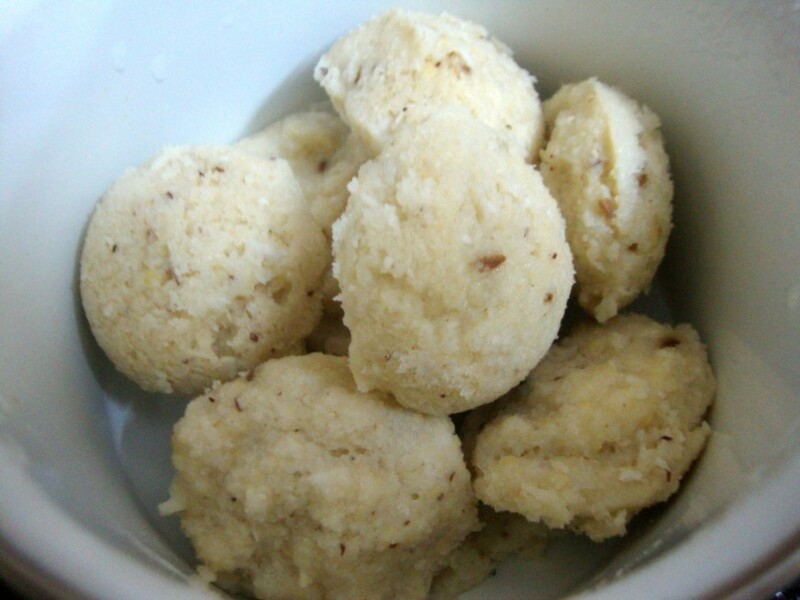 After seasoning, the plain idlis turn into a tasty dish that one can’t expect. Take the idlies that are left over. Grate them using a grater. 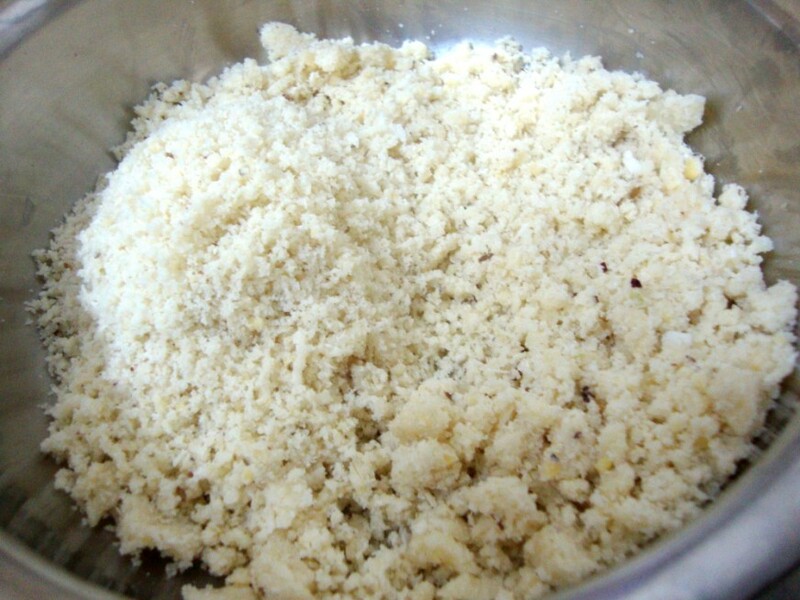 You will end up getting a fine crumble of idli powder. Heat a pan with oil, add the seasoning ingredients, saute till done. 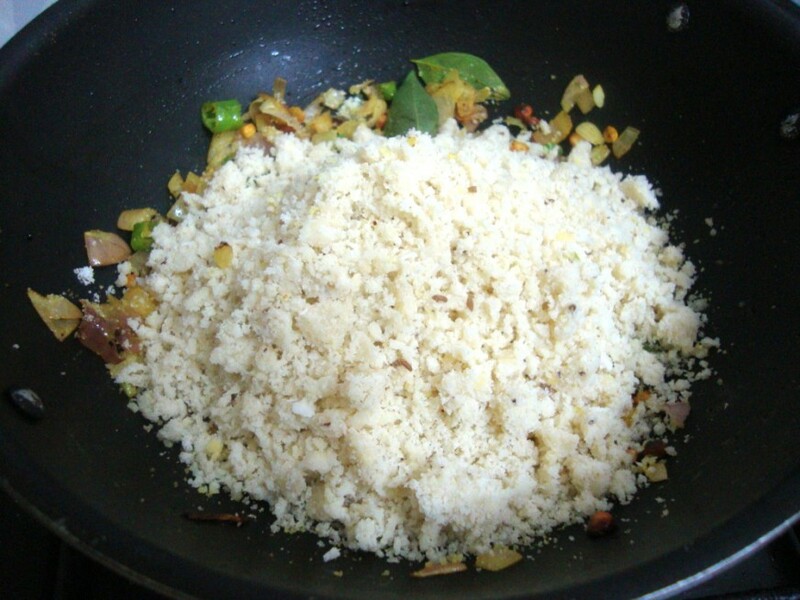 Add the grated idli to the pan, mix well. Add turmeric powder, saute well. Cover with lid and simmer for 5 mins. Get the idlies to room temperature if these are refrigerated, else it might be very cold to handle. Grate the idlies on a grater. 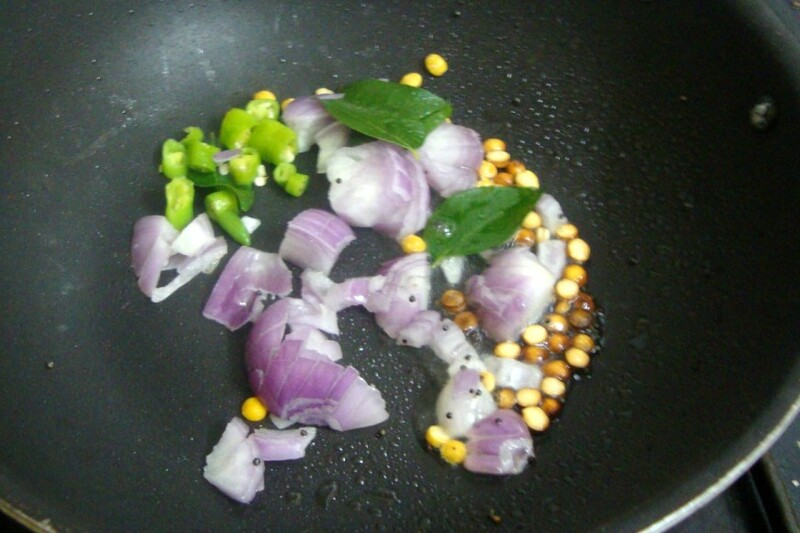 Heat a pan with oil, add mustard seeds, bengal gram, urad dal, curry leaves, Green Chili, and finely chopped onions. Saute till the onions turn light brown. 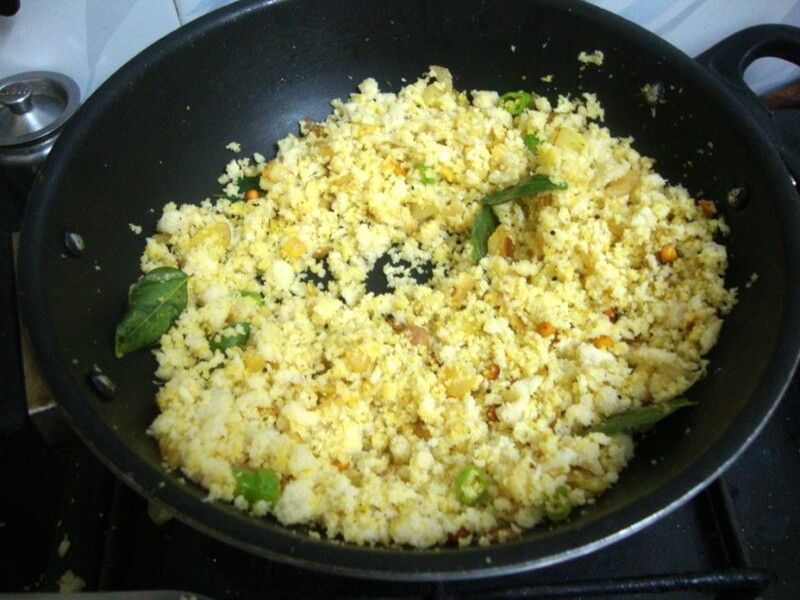 Then add the grated Idlis to the pan, add turmeric powder, mix everything together. Cover with lid and simmer for 5 mins. Amma was really taken in with this taste as she normally never prepares this way. And I was happy having made something that she liked. Come back for another treat tomorrow! 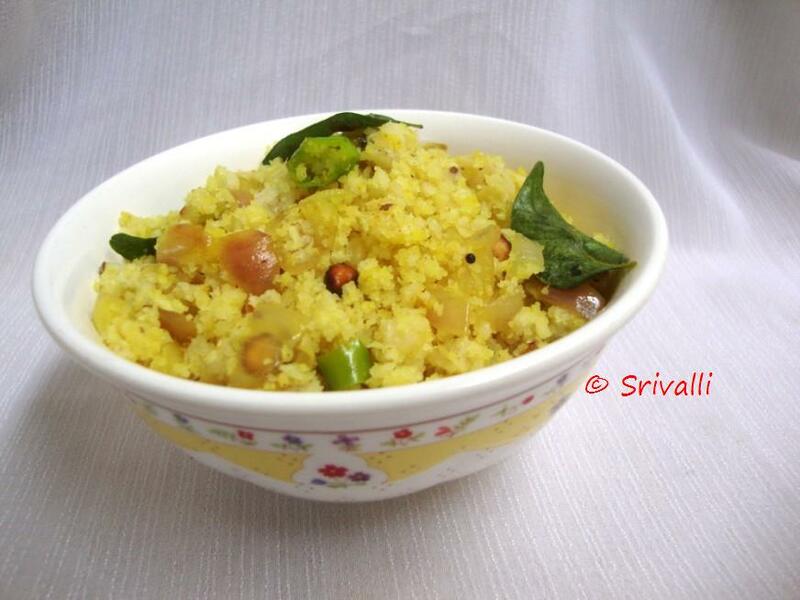 All time Successful Recipe Valli!!!! My father made this one and I had forgotten abt it. Thanks will make a nice change from fried idli! Loving the recipe and specially your step by step pics. 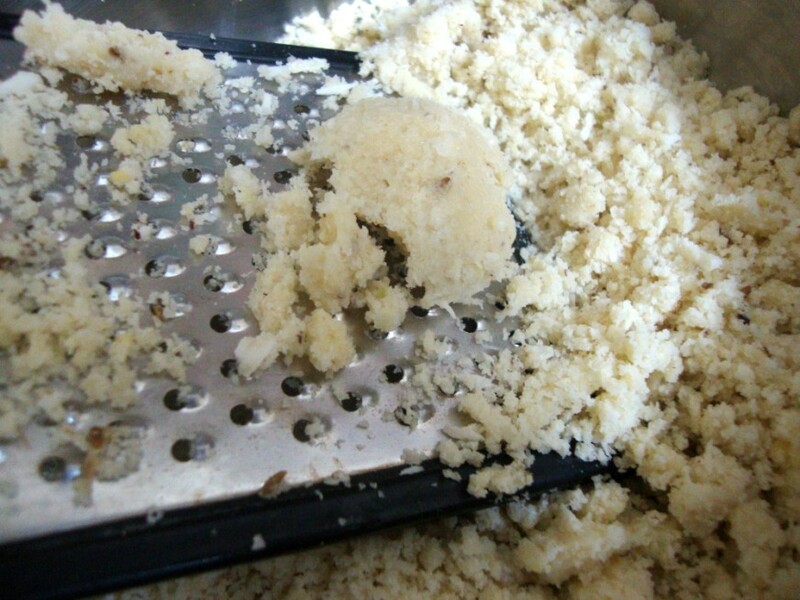 Never grated idlis, always just crumbled them. I think grating gives better texture, I will try it next time. Looks so neat and yummy, Valli! !